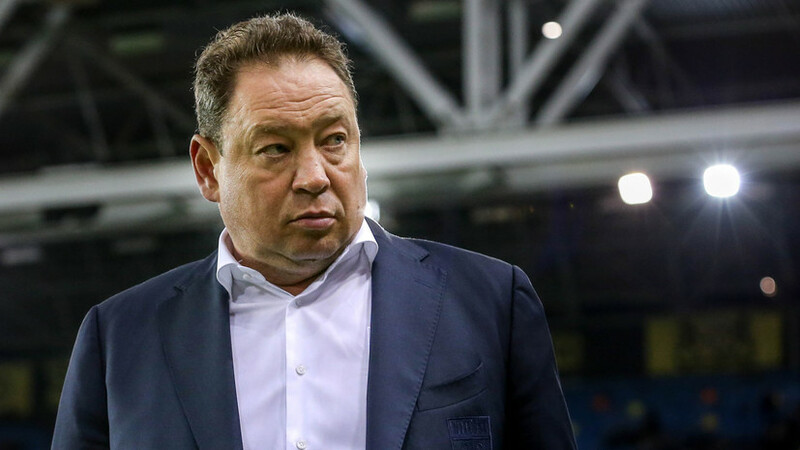 The Vitesse leadership fully supports the head coach of the team, Leonid Slutsky, and does not intend to dismiss him after a series of failures. This was stated by specialist agent Christian Emile. He also noted that the recent meeting of the parties was not of an emergency nature, but was planned in advance. Slutsky himself apologized for misfires of the team entrusted to him and promised the fans in the near future to correct the situation. Information that the leadership of Vitesse allegedly held a meeting with Slutsky after a series of team failures appeared on Monday morning in the Dutch media. It was noted that the meeting was scheduled for the near future, but took place earlier after Vitesse lost to Gronigen on the road as part of the Netherlands Championship. It was also reported that the leadership and fans are not satisfied with not only the results, nor overly defensive play performed by the team. However, agent Slutsky Christian Emile completely denied this information. According to him, there was not even any talk of any emergency conversation. “It is completely wrong that after yesterday’s defeat of Vitesse, a special meeting was held. The meeting, which took place today, was made a long time ago, ”quotes the representative of the championship coach. The agent also stressed that the leadership has no reason to be dissatisfied with Slutsky, since Vitesse, under his leadership, is demonstrating quite decent results. “I do not understand all these speculations. If you rationally look at the big picture, Vitesse is now in fifth place in the league, and at the same time it was sixth last season, so it’s logical that Videss’s leadership fully supports Leonid, ”added Emile. In this case, "Vitesse" in recent times really seems to be pursuing an evil fate. In the last three matches of the championship of the Netherlands, the team lost points not just in the last minutes, but already at the time added by the referee, and often she herself gave her opponents chances. An unsuccessful series began in a match with an outsider "Fortune". Vitesse opened the scoring in the seventh minute thanks to a precise strike by Brian Linssen, but missed twice in the second half and lost. The decisive ball turned out to be truly tragicomic. In the 92nd minute, the most experienced goalkeeper of the Vitesse, Eduardo, gave the pass exactly to the opponent’s leg, and he immediately struck the goal by the goalkeeper. In the next round, "Vitesse" again failed to cope with the inferior class team - "Heerenveen." Wards Slutsky this time missed the first, but managed to respond to the missed ball with his two. However, in the same 92nd minute, the judge appointed a penalty kick in the gate of the Slutsky team after seeing the VAR, and “Heerenveen” left from the defeat. “At one moment it seems that victory is in your hands, and in a second everything ends in a draw. This is a very bad dream. For the first time in my career I was dealing with VAR. Crazy situation, because I was happy ... As a result, there was a draw, which is difficult to realize. Revised that moment. I do not think there was a penalty. But the judge made this decision, ”Omroep Gelderland.nl quotes Slutsky. And finally, in the last match, Vitesse did not keep a tied score in the match with Gronigen. The hosts took the lead already in the 13th minute, but Vitesse won back in the middle of the first half thanks to an accurate strike by Ussam Darfalo. In the second half of the meeting, Slutsky's wards were close to snatching the victory, but missed instead in the 91st minute and lost. Unfortunately, Vitesse, under the leadership of a Russian specialist, does indeed regularly skip at the end of meetings. In the current season, rivals in the national championship hit the Vitesse goal in the last ten minutes of matches six times - so the team lost six points. In English "Hull City" Slutsky faced a similar problem. In 20 matches under the direction of Slutsky, “tigers” conceded 37 goals, 18 of which after the 70th minute, and 13 after the 80th. In addition, Vitesse regularly loses points in matches with outsiders. With fighting for survival "Heerenveen" wards Slutsky twice parted world. In a draw, Vitesse also played with Den Haag, a former team of Dmitry Bulykin, who is currently in two points from the transition zone for the right to remain in the elite. "Excelsior" with "Fortune" "Vitesse" completely lost. However, Slutsky himself, despite the recent setbacks, is not discouraged and intends to continue working with the team. And after the defeat from Gronigen, the Russian expert even apologized to the fans, which shocked the local public. “I am sure that I can change this situation. I am pleased with our game. We acted well, and I can not call this match terrible. However, there was a terrible last minute with a terrible result. I do not think this is the normal level for our team. I want to apologize for the results of recent weeks. I am sure that we can change the situation, we need to solve the problem together, ”Ompoer Gelderland quotes Slutsky. And the standings Vitesse still does not cause questions. After 21 matches, the team is in fifth place in the standings of the Dutch Championship and claims to be in the European Cup. At the same time last season, as agent Slutsky rightly noted, Vitesse took only sixth place. It should also be noted that the Russian coach got a fairly young team, and with Slutsk young players made serious progress. Thus, 20-year-old Martin Edegor, who was once considered one of the most talented young footballers on the planet, took a leading position in the team. But he stably played only in Vitesse. At the same time, at the moment, the coach has to go without five main players, who have been out of action due to various injuries. The biggest loss for Vitesse was the absence of the leading scorer Tim Matavz, who received a break in the knee ligaments. But despite this, the team Slutsky continues to score points and fight for getting into the top-5 championship of the Netherlands.